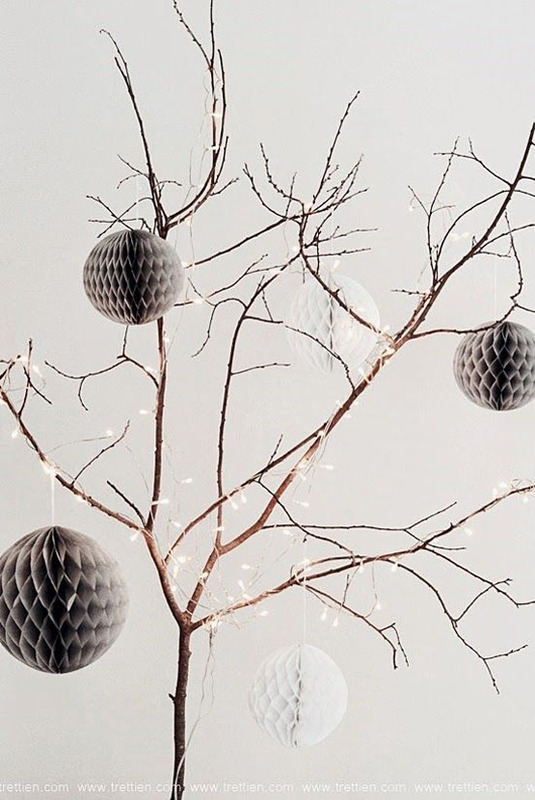 Do you want to keep your Christmas decorations nice, trendy and minimal? 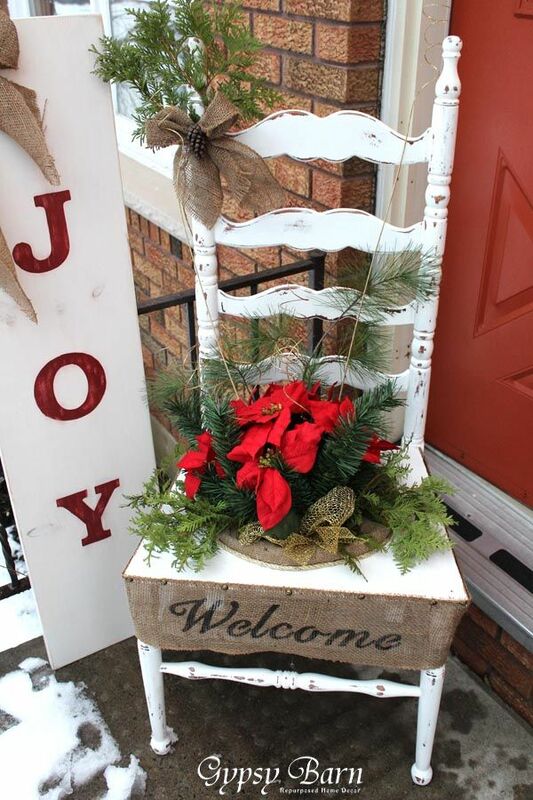 How about try something new this holiday season? 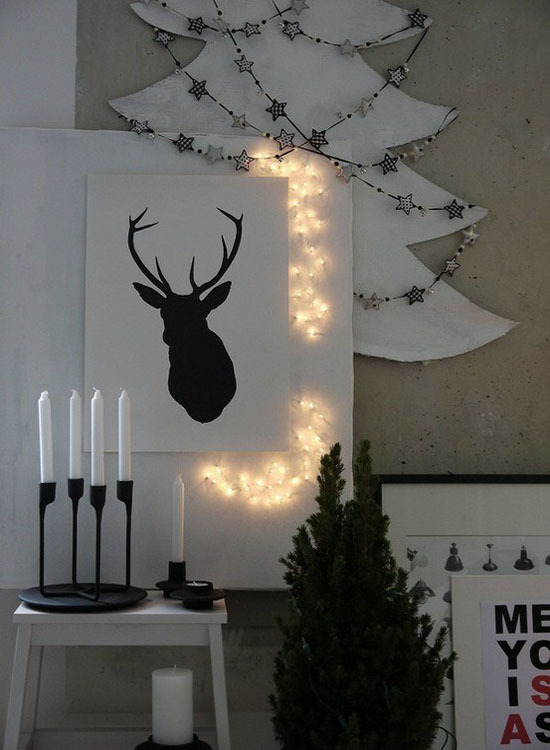 You may want to try Scandinavian Christmas decorating. 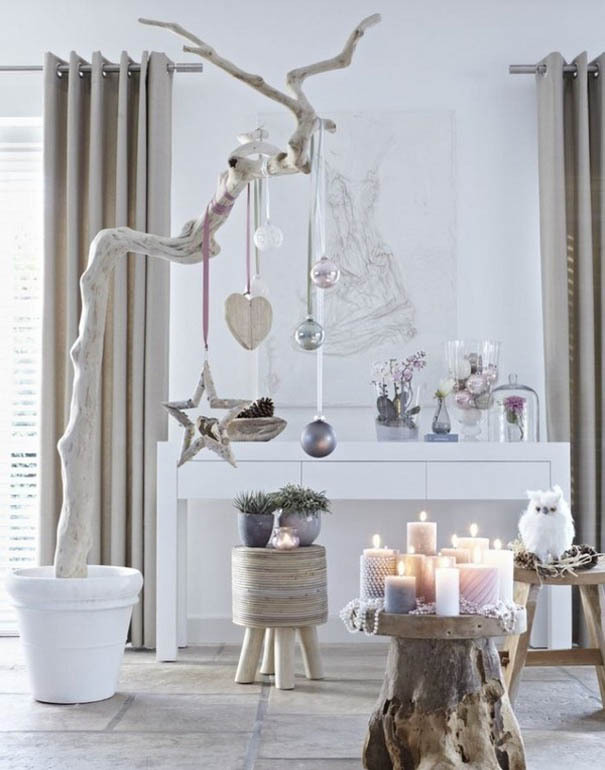 Scandinavian, also known as Nordic style, is a trendy and modern decorating mainly characterized by its cozy, rustic and minimalist style. 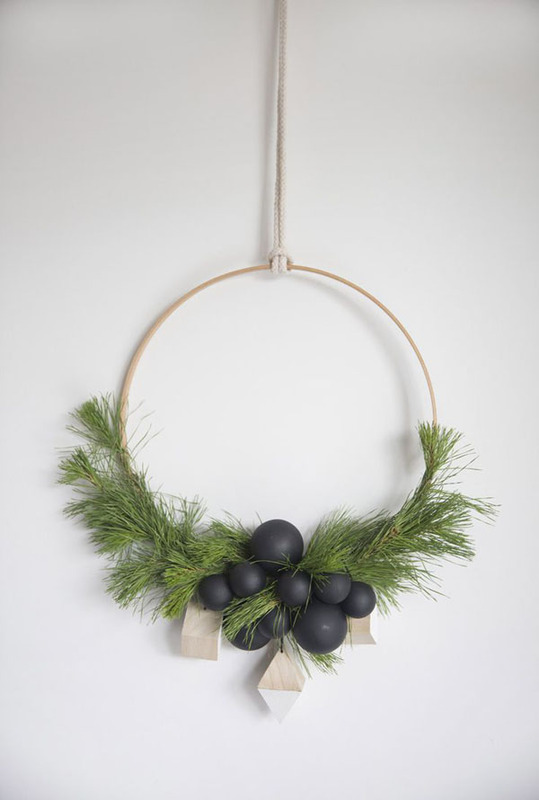 It’s all about black and white, woodsy, wreaths made of pine leaves, rustic lanterns, pinecones, twigs and tree branches. 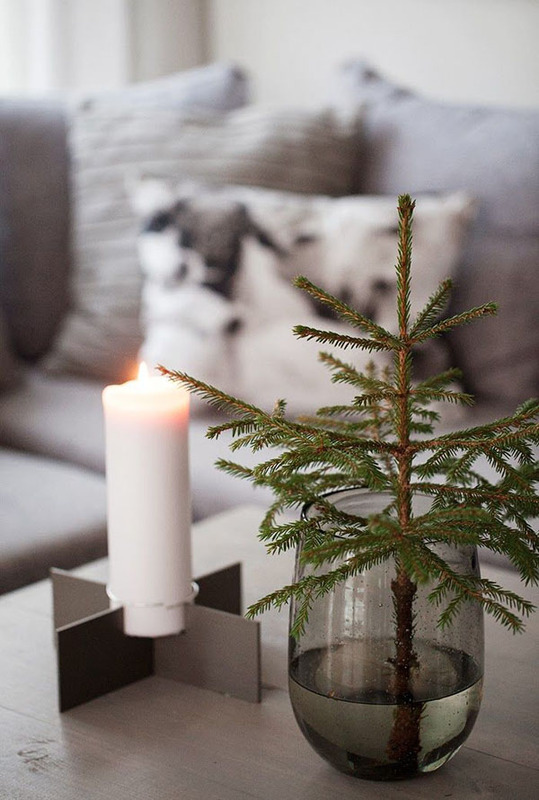 To sum it up, Scandinavian Christmas decorating is all about minimalism. 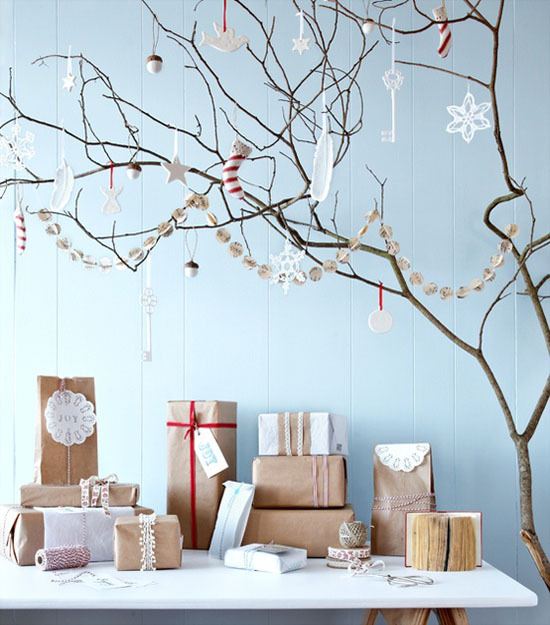 To add more colors to your decorations, you can add tree ornaments, berries, stockings and fabric decorations. 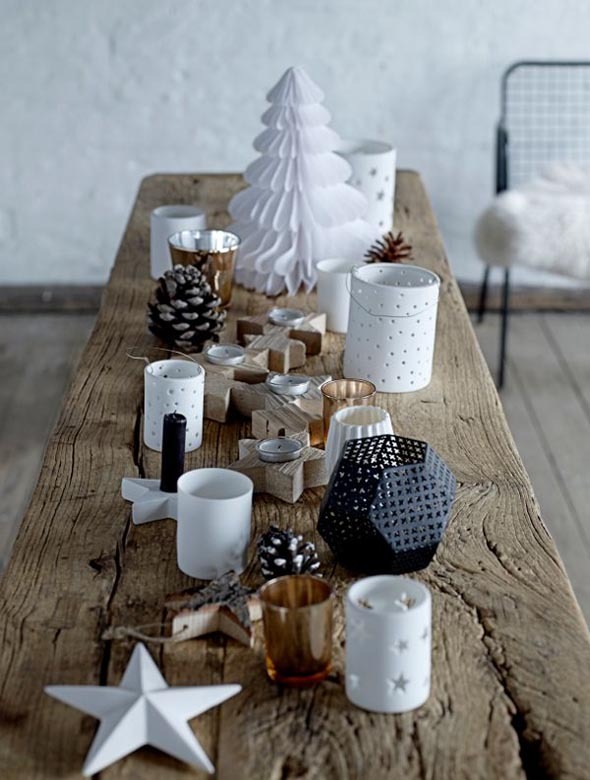 We collected some of the most beautiful and eye-catching Scandinavian Christmas decorating ideas for your inspiration. Enjoy! 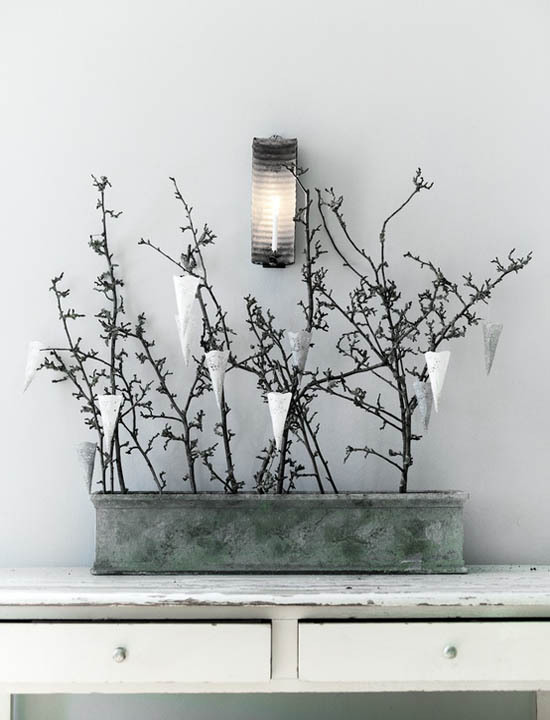 You can find tranquility and peace in this Scandinavian Christmas decoration. 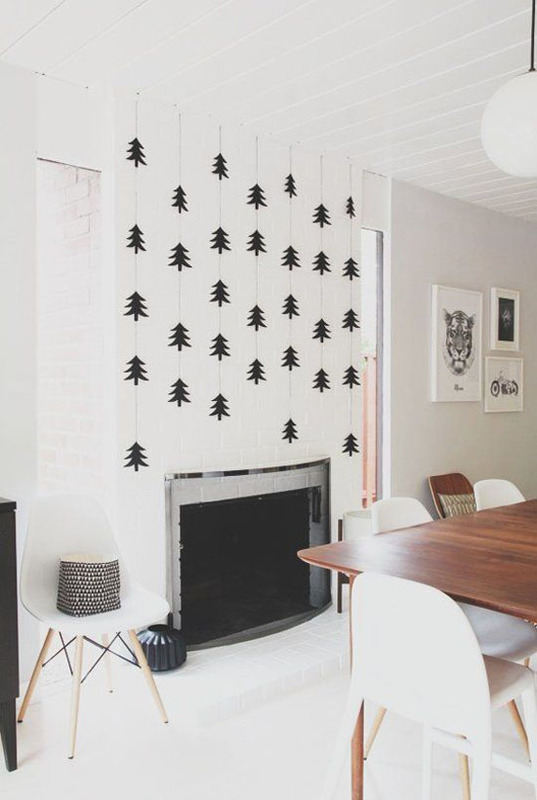 The combination of black and white decorations speak coziness and elegance. 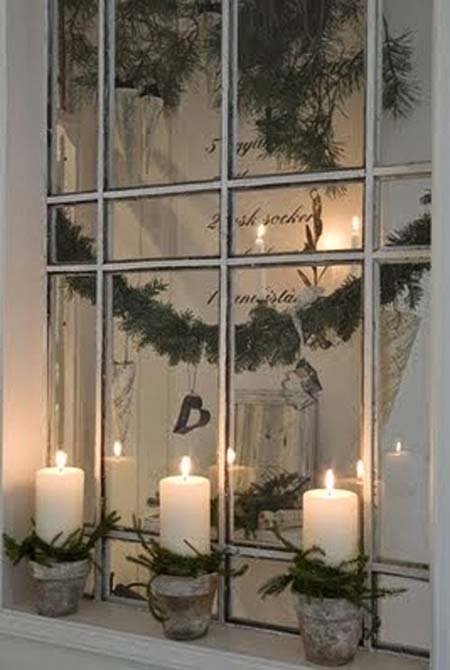 The cream-colored stockings complemented well with the setting. 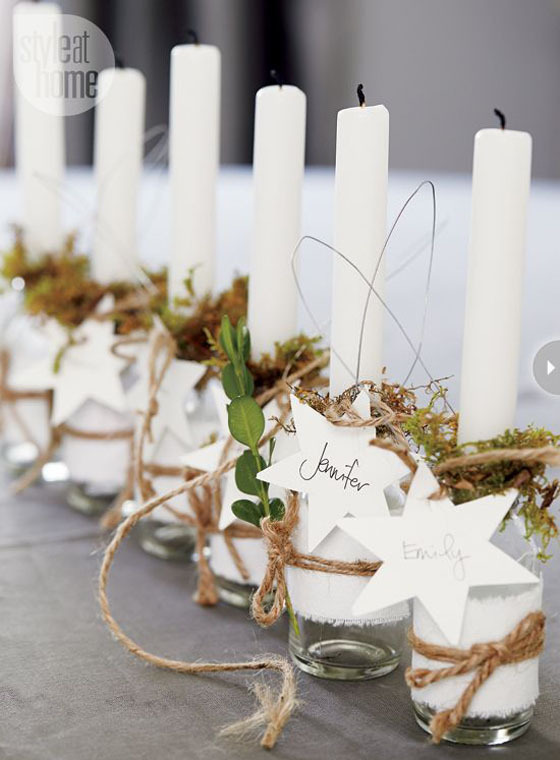 A very simple, yet beautiful Christmas candle decoration. 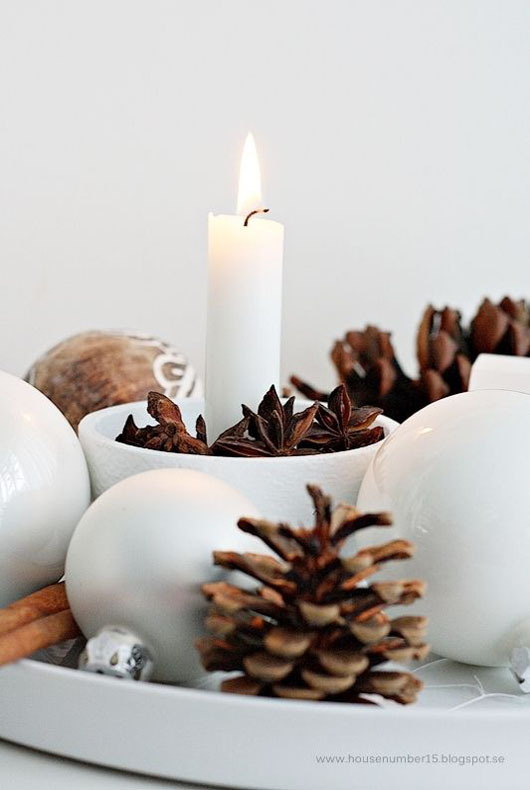 With just a few dried pinecones, white bowl and christmas balls, plus cinnamon sticks, this is truly a wonderful Nordic-style centerpiece. 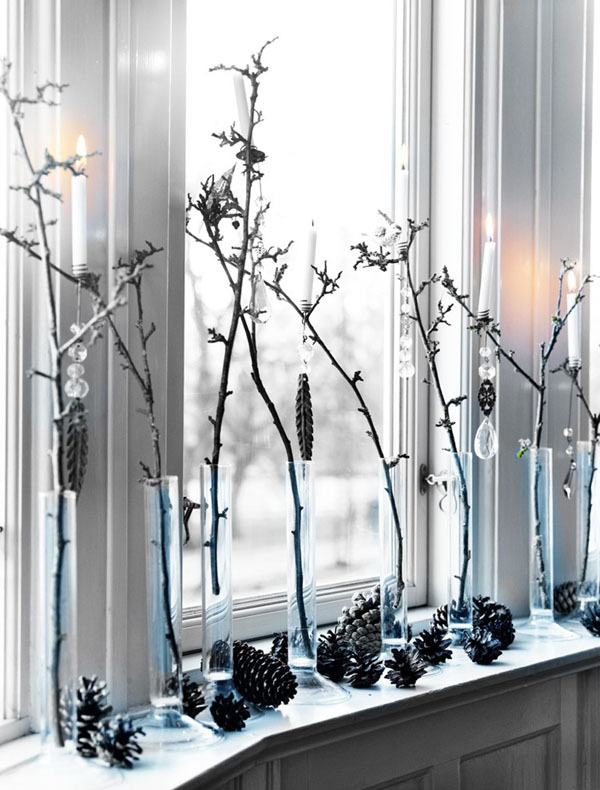 Create a scenic Christmas decoration on your window using clear glass cylinders, twigs and dried pinecones. 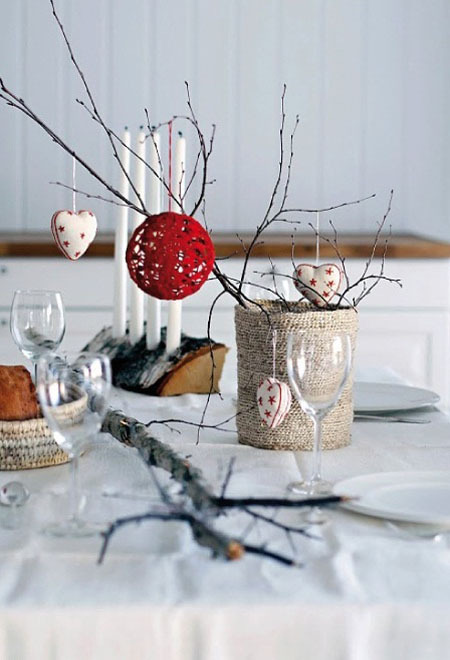 Scandinavian christmas decorating is mostly about natural ornaments and two-toned decorations. 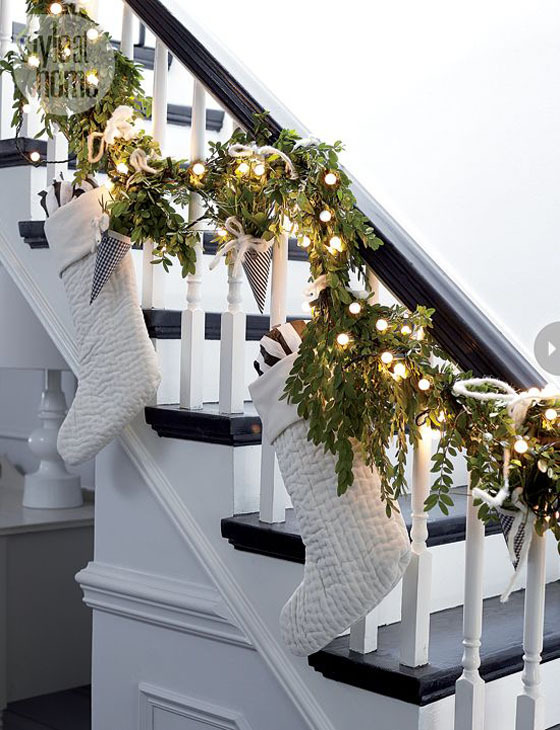 In this one, fresh garlands are used, beautified by sparkling Christmas lights and white Christmas stocking. 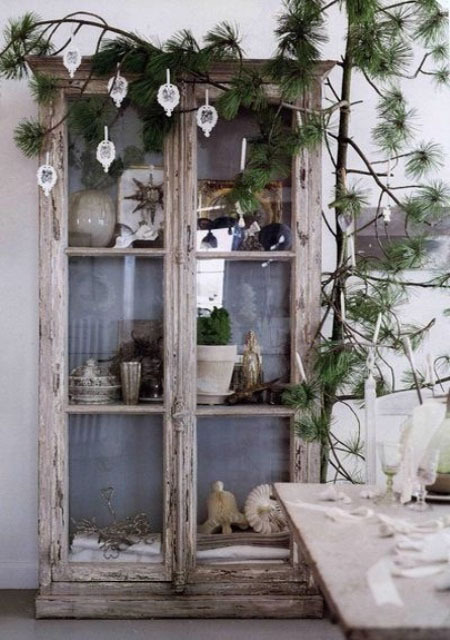 Most Scandinavian decorated homes feature branches and dried twigs. 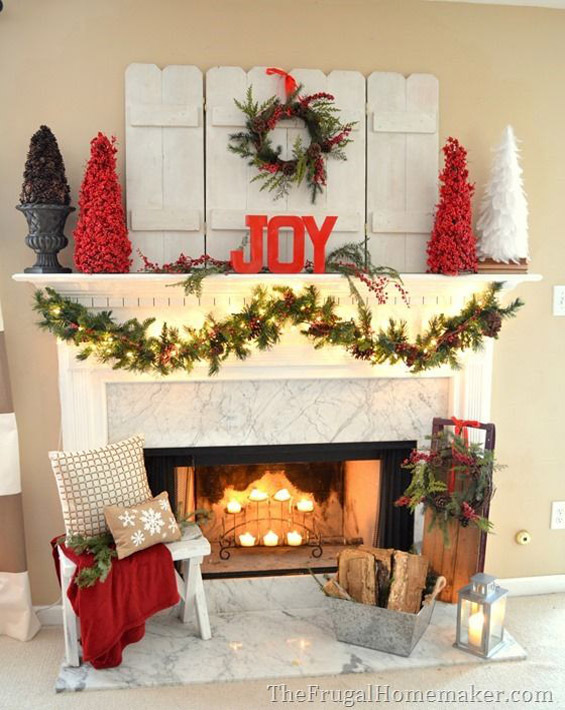 They are often accented with neutral colored ornaments and Christmas lights. 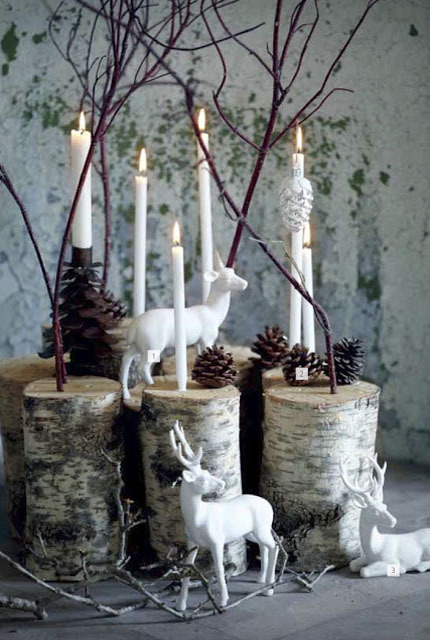 Wood cuts, dried pinecones, twigs and, of course, reindeer figures. 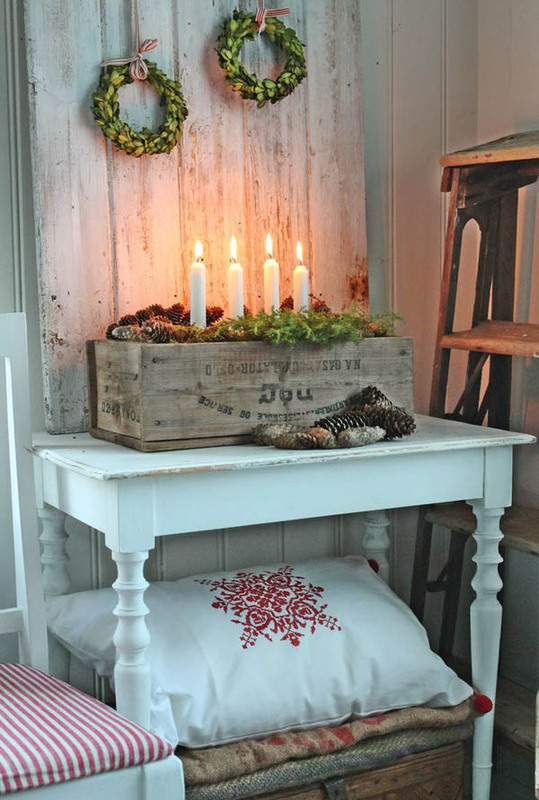 The combination of rustic and vintage can be seen in this Nordic-style Christmas wreath. 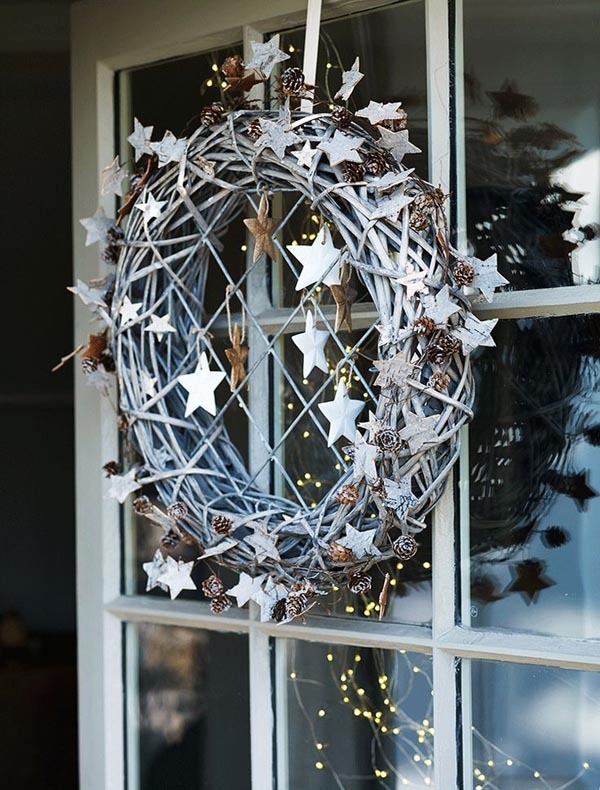 The chain link fence is shaped into round and decorated with stars and dried pine cones. 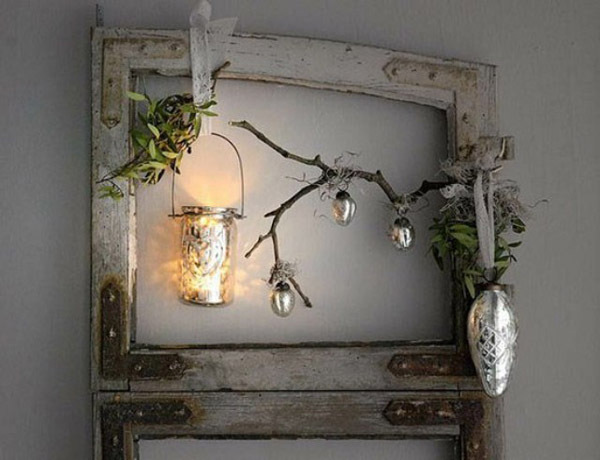 Then, painted with white for more tranquil touch. 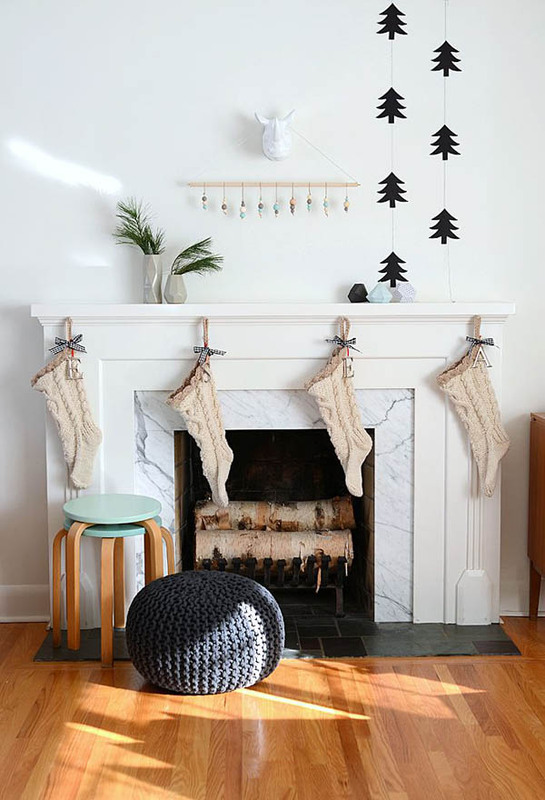 If you’re worrying about the space that your Christmas decorations are going to take from your place, you can opt for small, minimalist Christmas decor – like this one. 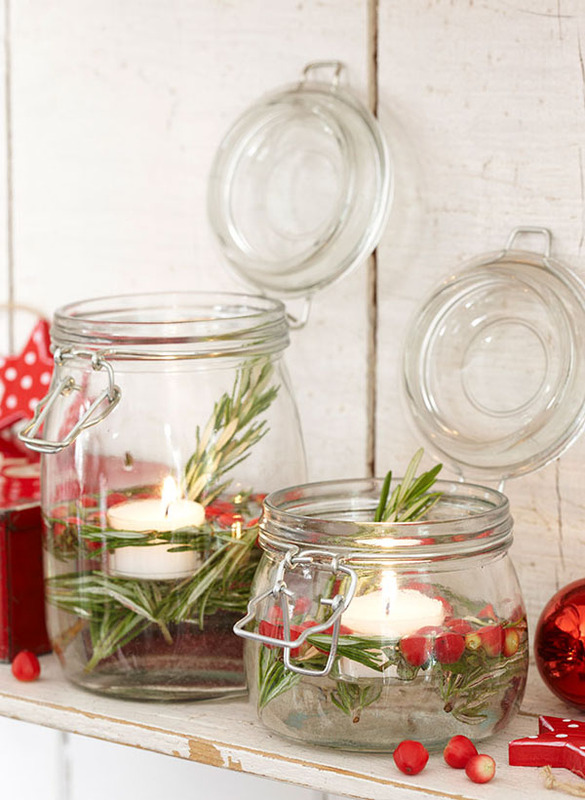 You can have a miniature Christmas tree in a jar. 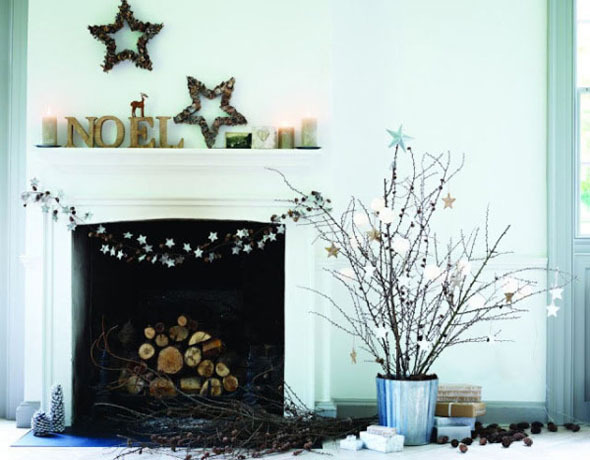 You can pretty much achieve a scando-style decorations with just a few twigs and ornaments. 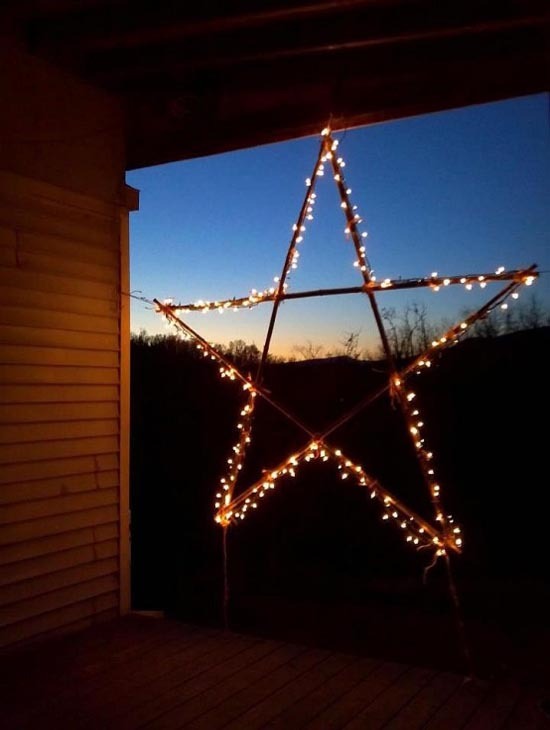 Tie the twigs together, shaping a star. Secure them with dotted red ribbons. 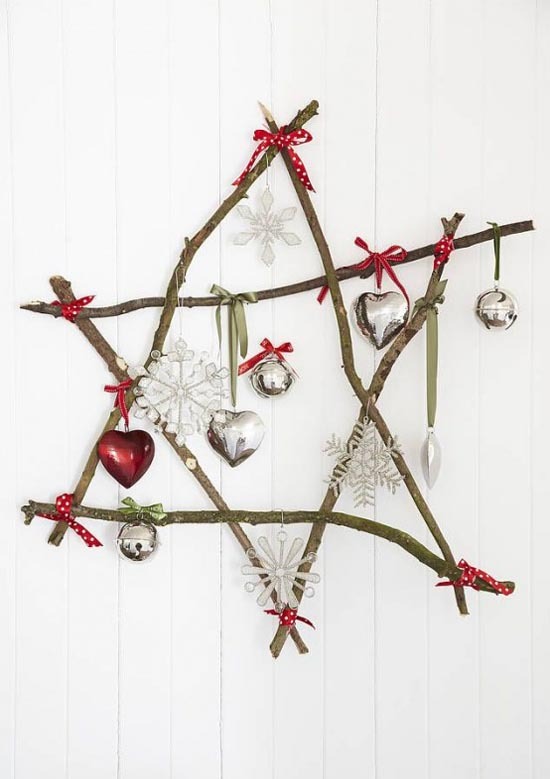 Add some ornaments like snowflakes and heart to make it even more beautiful. 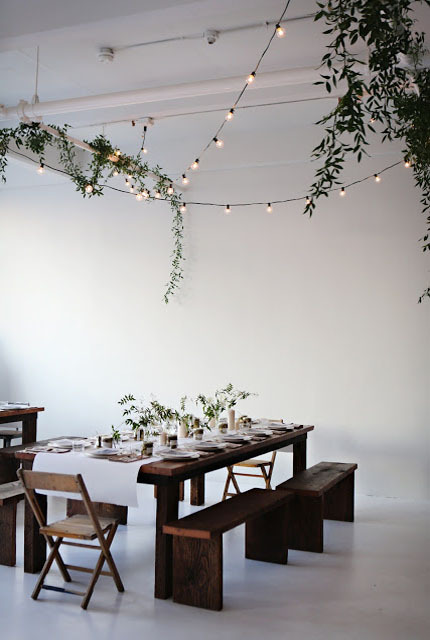 Candles can make anything looks cozy. 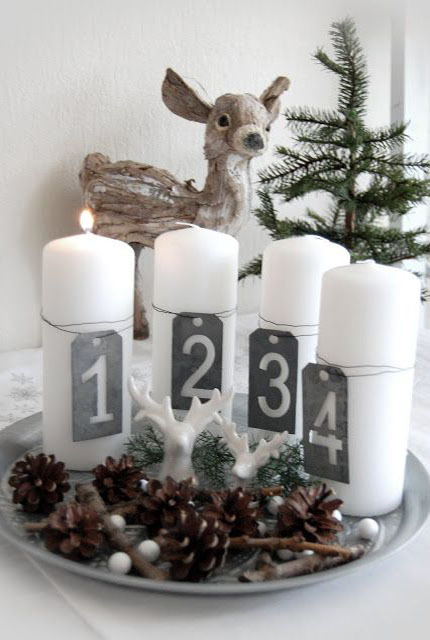 So this Christmas, have a nice candle decoration with this idea. 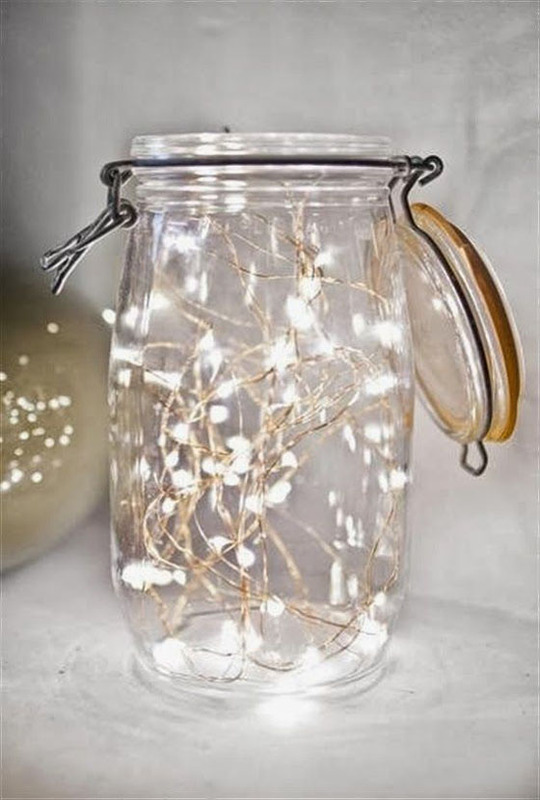 Put a chunk of white candle in a clear jar. 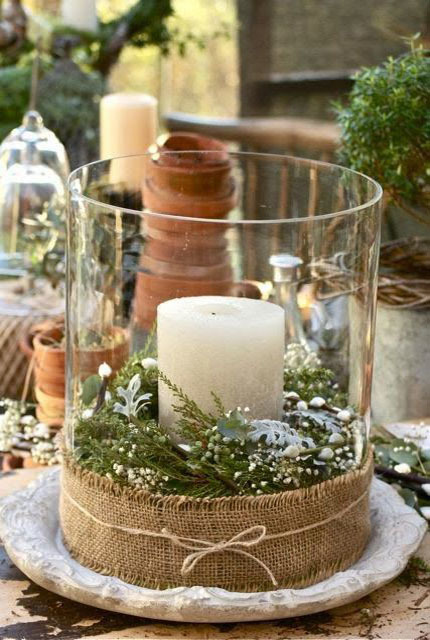 Put some evergreen leaves and wrap it up with burlap ribbon. 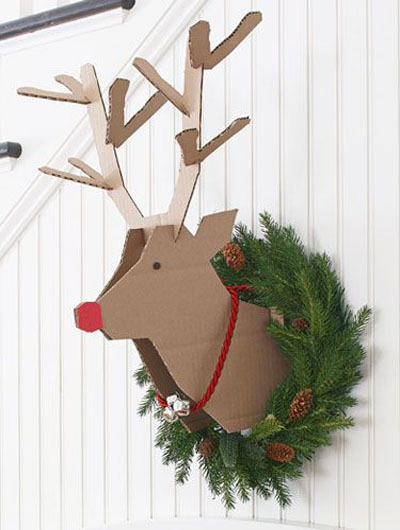 Wreath, of course, is one of the most popular Christmas symbol. 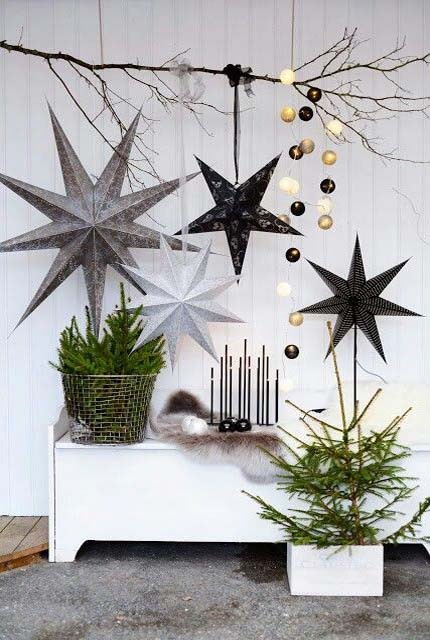 Tweak it, the Scandinavian-style, by using simple neutral-colored ornaments like geometric wood cuts, black beads and evergreen leaves. 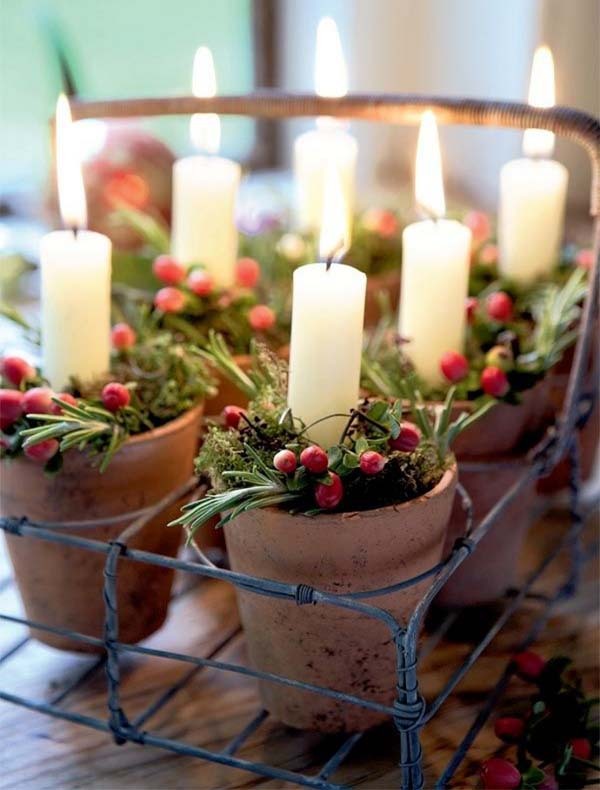 Like I said earlier, candles are a perfect way to brighten up the holiday season. 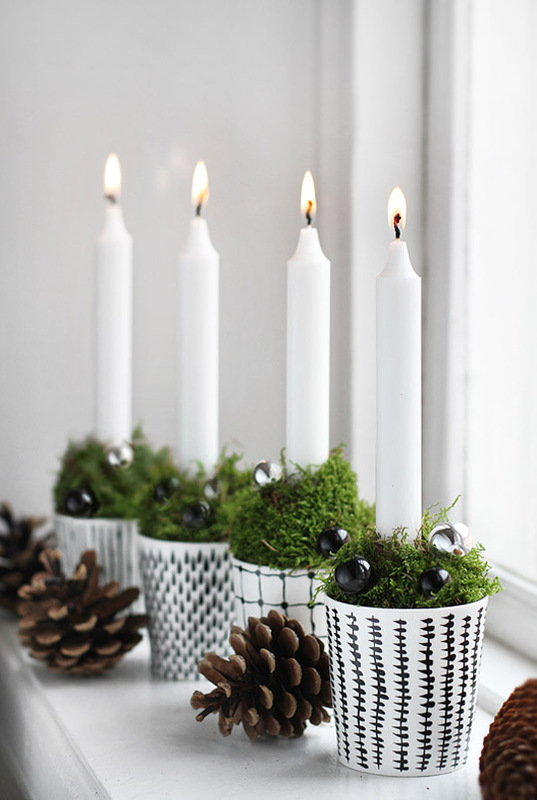 For Scandinavian approach of decorating with candles, add some greens and natural ornaments on its holders. 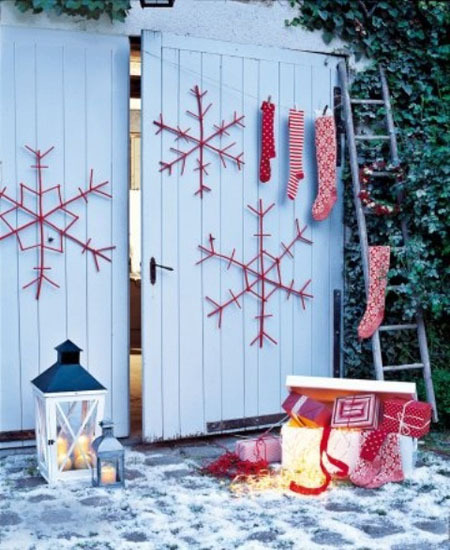 Have a countdown to Christmas with this scandi-inspired advent calendar. 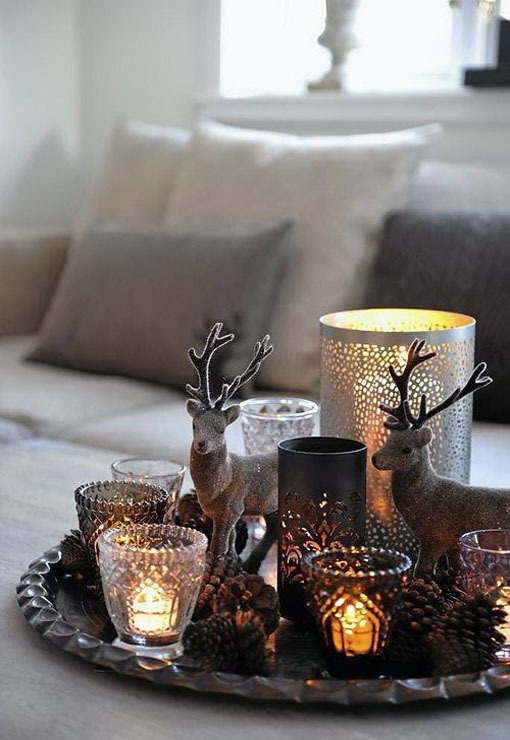 Chunks of white candles, with some dried pine cones and reindeer figures in a platter can be a wonderful Christmas table decoration. 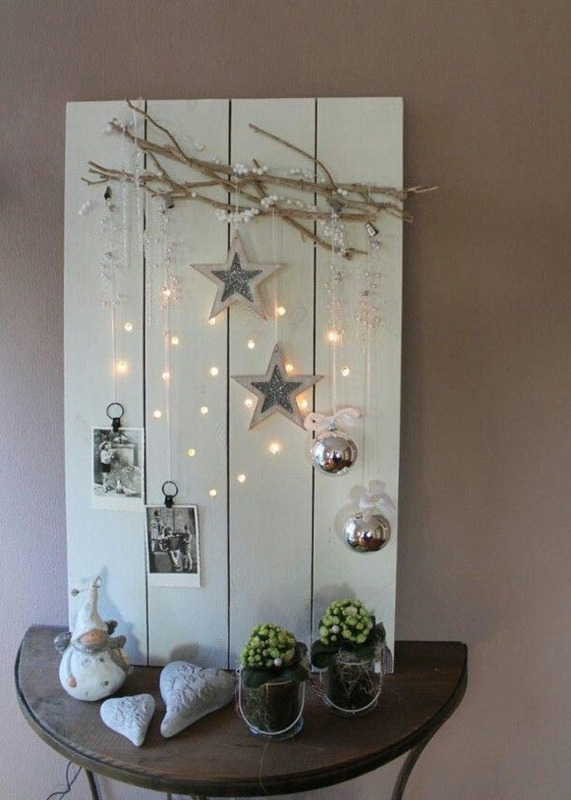 Be creative with this unique and cozy DIY project. 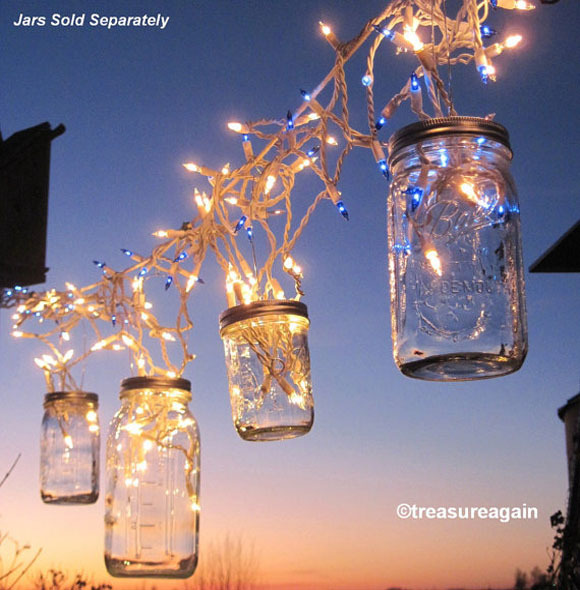 Use your old bicycle rim to hang those mason jars. 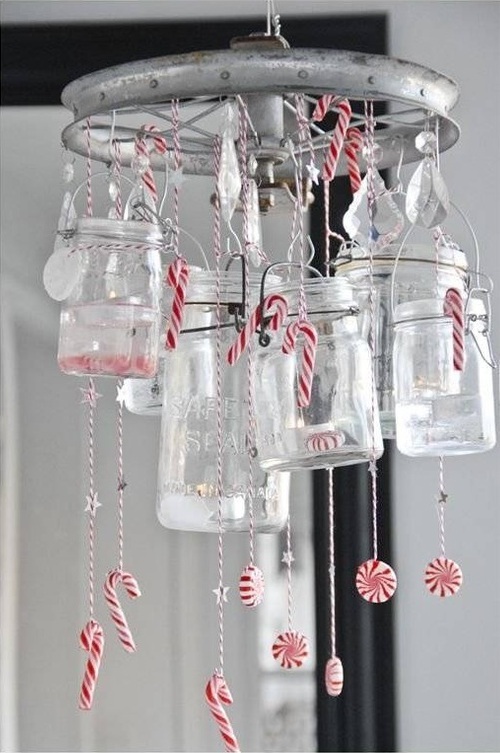 To add colors, hang some candy canes, too. 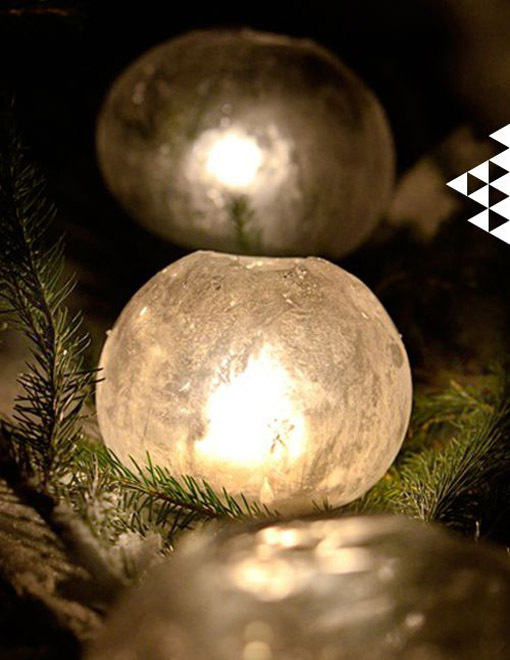 Scandinavian inspired Christmas decorations are known for its color combination – mostly white, black and gray. 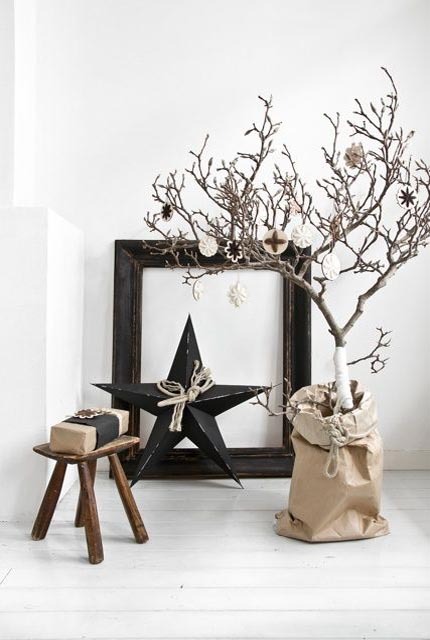 In this decoration, the black colored stars and frames complemented well with woodsy tree branches and the wooden chair. 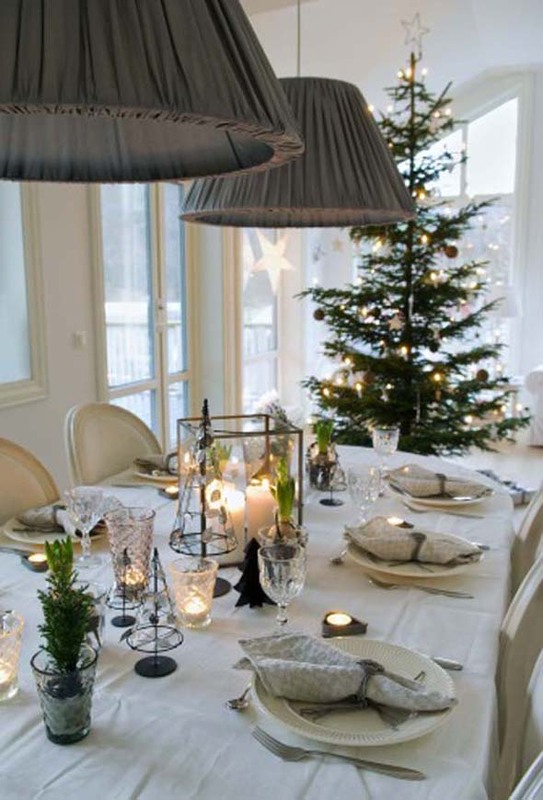 Same goes with this table setting. 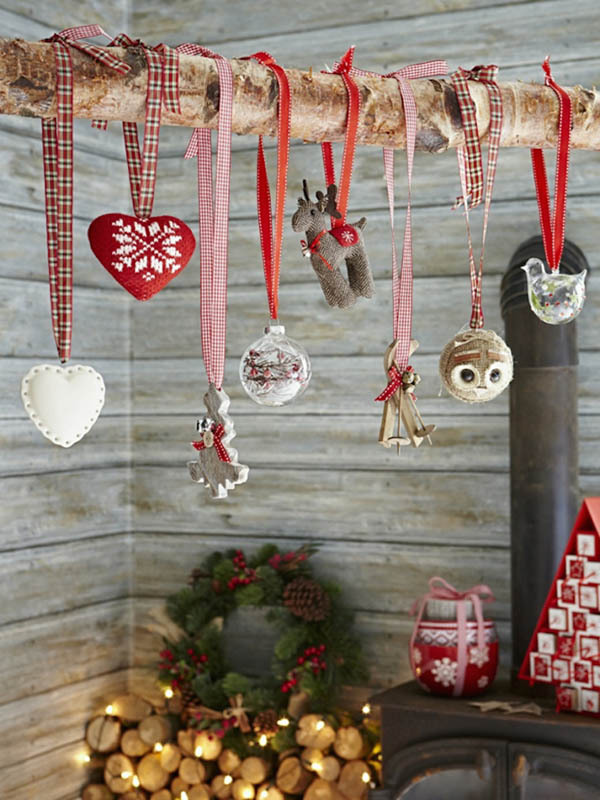 You can find white, black and grey and some wood accents on these decorations. 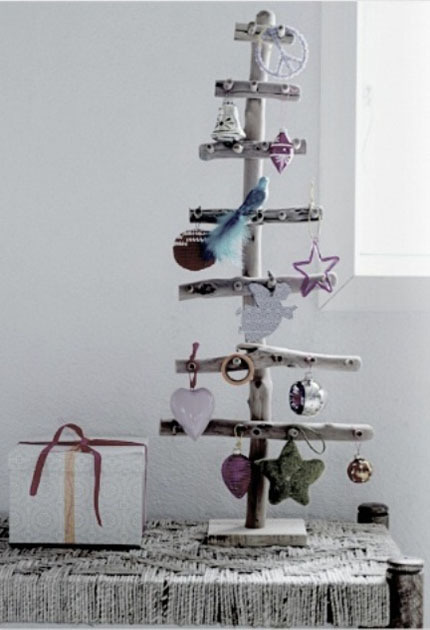 If you’re into Scandinavian style Christmas decorations, you may want to opt for alternative Christmas tree. 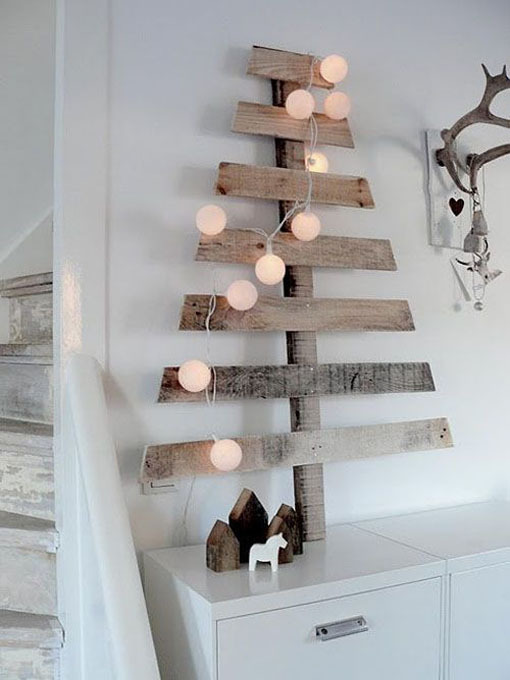 Instead of using evergreen tree, you can use a dried tree branch. 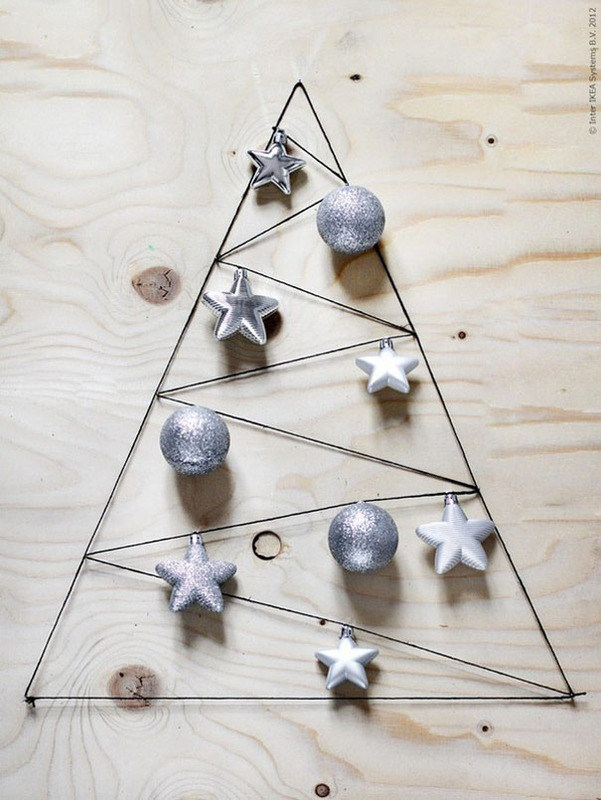 Decorate it with small paper ornaments and stockings. 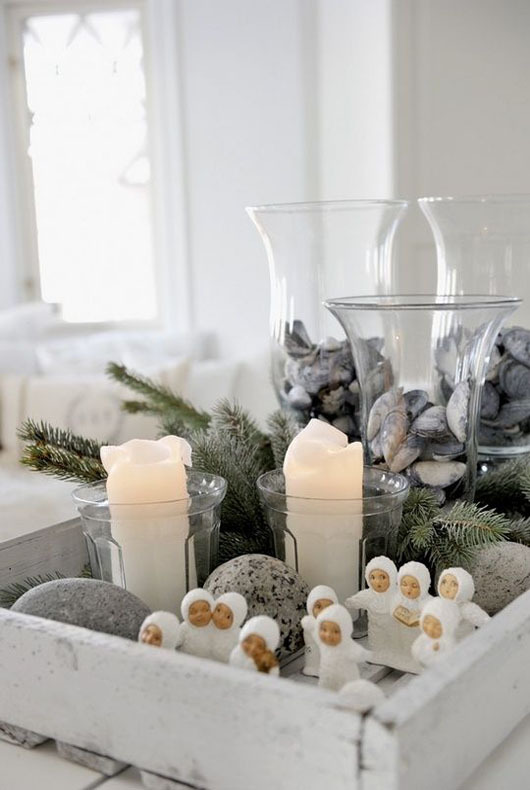 Rocks, pine needles and fun white figures inside a wooden box planter is a cool way to set up a Scandi-inspired table setting. 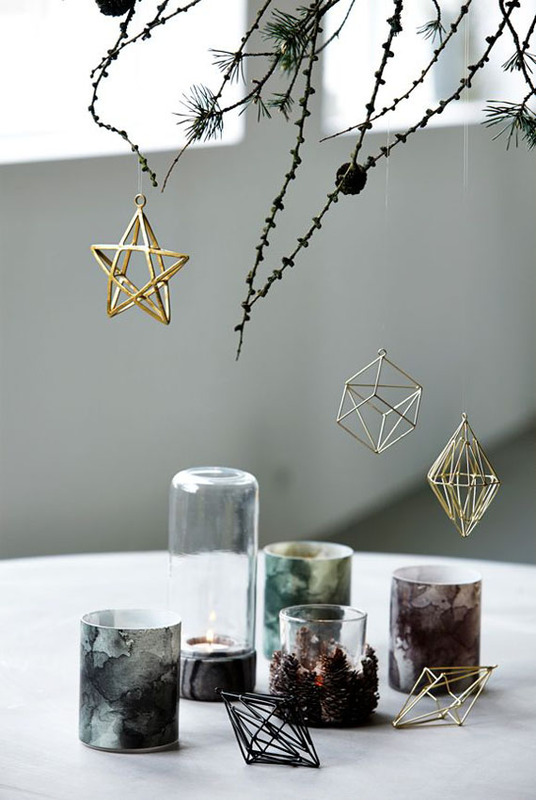 Don’t forget to include candles. 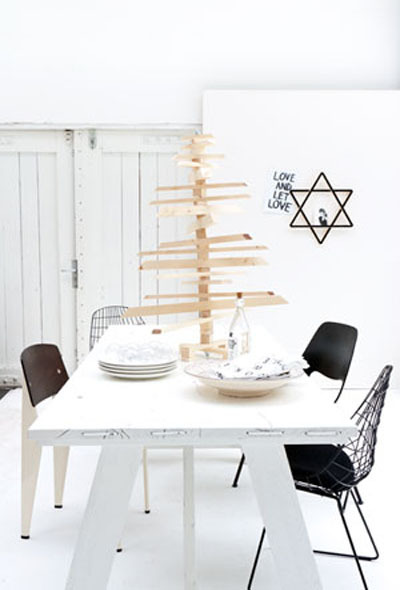 Here’s a minimalist approach to decorate your dining table. 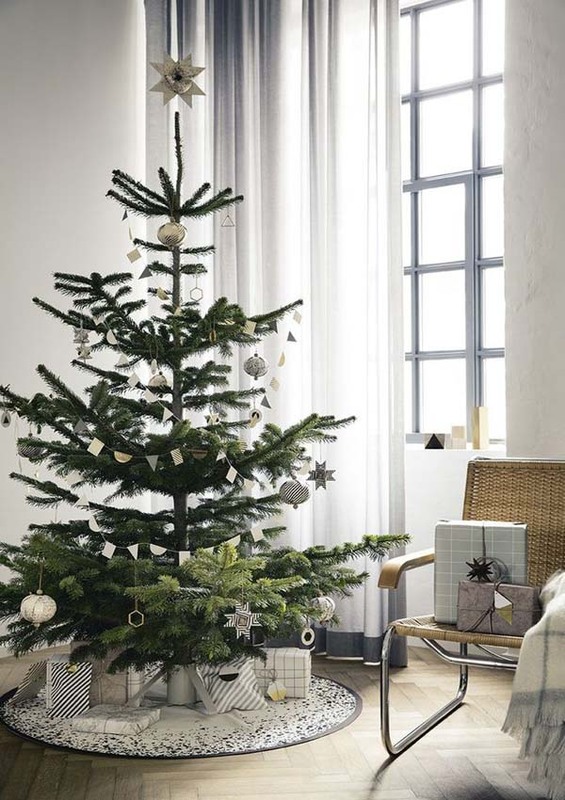 White table mantel, plus candlelight and green centerpiece, perfectly blended with the minimalist-decorated Christmas tree.